If you’re a dog owner, chances are your pet is part of your family. It’s a helpless feeling if you can’t help your dog when he’s in pain. Arthritis is a big problem for certain dog breeds and older dogs. 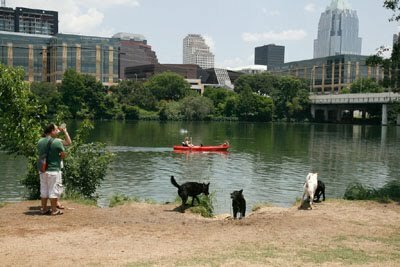 Now a handful of Austin veterinarians are finding success alleviating arthritis and other aches and pains with stem cell treatments. The therapy made a big difference for Kim Galusha and her 10-year-old Border Collie, Ezri. The energetic dog loves to run and play and competes in agility contests. Last year, Kim noticed Ezri was slowing down and showing signs of pain in her front legs. Her veterinarian diagnosed her with severe arthritis.